Payless Shoes is going into creditor protection in the U.S. and Canada, and will likely close its about 2,500 stores in North America. Payless Shoes is going into creditor protection in the U.S. and Canada, where it will likely close all its stores. 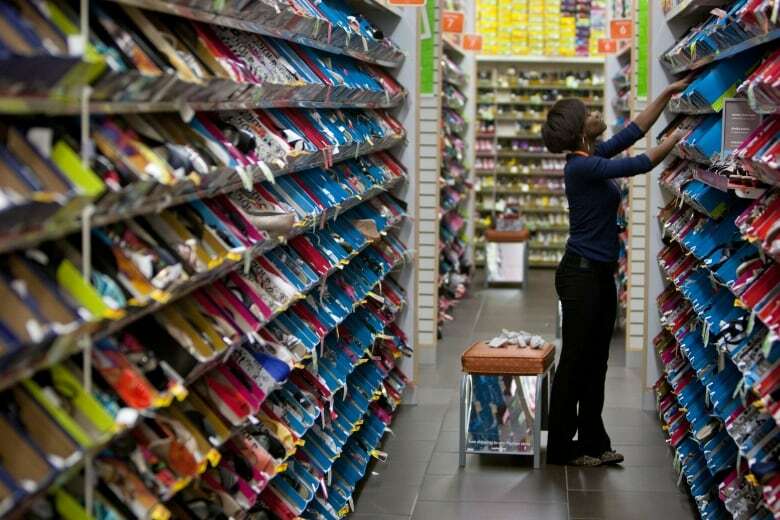 The discount shoe retailer, with more than 3,400 stores in 40 countries, is seeking protection from its creditors under Chapter 11 of the U.S. Bankruptcy Code, and the Canadian equivalent, the Companies' Creditors Arrangement Act. 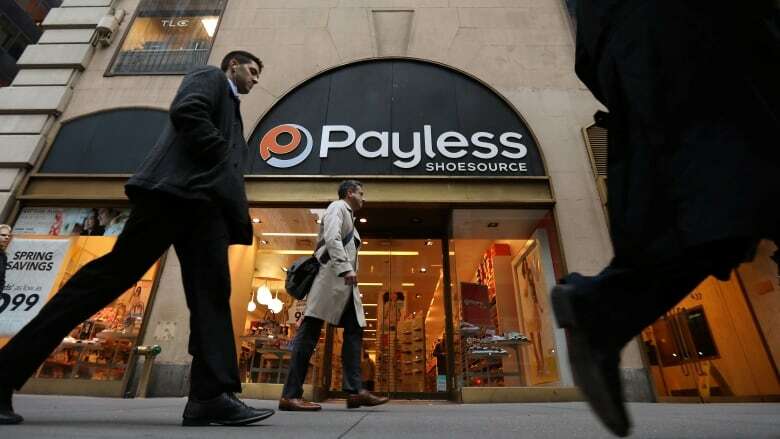 "Payless intends to use these proceedings to facilitate a wind-down of its approximately 2,500 store locations in North America and its e-commerce operations," the company said in a statement. The company has 248 locations across Canada, about half of which are in Ontario. All in, the chain employs just over 2,400 people in Canada, and court documents suggest the stores collectively lost $12 million US last year. The stores "are insolvent and are unable to meet their liabilities as they become due," court documents suggest. They say 220 of the Canadian stores couldn't come up with rent for the current month. Payless, founded in Kansas in 1956, grew to become one of the biggest shoe sellers in the world, selling more than 110 million pairs a year in its heyday. But the chain has fallen on tough times of late, and already went through creditor protection as recently as 2017, a process that spared the Canadian locations at the time. That doesn't seem to be the case this time around, as the company says the plan is to liquidate all of its stores in the U.S. and Canada as quickly as possible. "The challenges facing retailers today are well documented, and unfortunately Payless emerged from its prior reorganization ill-equipped to survive in today's retail environment," chief restructuring officer Stephen Marotta said. "The prior proceedings left the company with too much remaining debt, too large a store footprint." The company's first bankruptcy proceedings, in 2017, saw the retailer close about 900 stores and restructure some of the debt it incurred as part of a private equity deal five years earlier. Part of Payless's problem, retail consultant Antony Karabus of HRC Retail Advisory said in an interview, is that the first restructuring didn't do enough to fix problems underlying the business. Instead, it just tried to clean up the balance sheet. "For Payless, it bought six or 12 months, that's all it did," he said. While many retailers have been hit with a shrinking demand for their products, that isn't necessarily the case for Payless. Karabus said discount footwear is a large and growing market, so the company's problems were in failing to capitalize on that. Even after coming out of bankruptcy protection once, the company still has more than $400 million in debt on its books, he notes. "When a slow growth retailer has debt put on the balance sheet, it is extremely tough to be able to withstand that incredibly significant liability," he said. Payless said it plans to ask for the court's permission to honour gift cards and store credit until March 11, 2019, and to continue to allow returns and exchanges of applicable non-final sale purchases until March 1, 2019. The chain's loyalty rewards program, along with any other outstanding coupons, are discontinued, effective immediately. If everything goes according to plan, the chain will cease to exist in Canada and the U.S. by May. Stores outside North America — including in the Middle East, India, Indonesia, Indochina, Philippines, Africa, Latin America and various parts of the Caribbean — will still go on, as they are largely profitable.